Learn how to create a fluttering leaf in After Effects using 3D Warps. This tutorial covers setting up shadows, 3D motion paths, and optimizing the pr.. Learn how to make a cool unwrapping sphere motion using 3D warps. 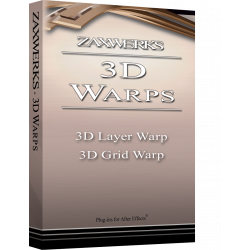 To find out more about 3D Warps click here: https://zaxw.. Learn how to use 3D warps for After Effects. Create page flips, and other cool effects with After Effects solids. To find out more about ..